At bauma 2019, PERI is presenting a range of slab formwork under the motto "Safety for the Users". For the proven SKYDECK system, the SKY Anchor facilitates safe shuttering operations from above. However, PERI also relies on the concept of "forming from below". An expanded portfolio of slab props offers cost-effective combinations for all applications. 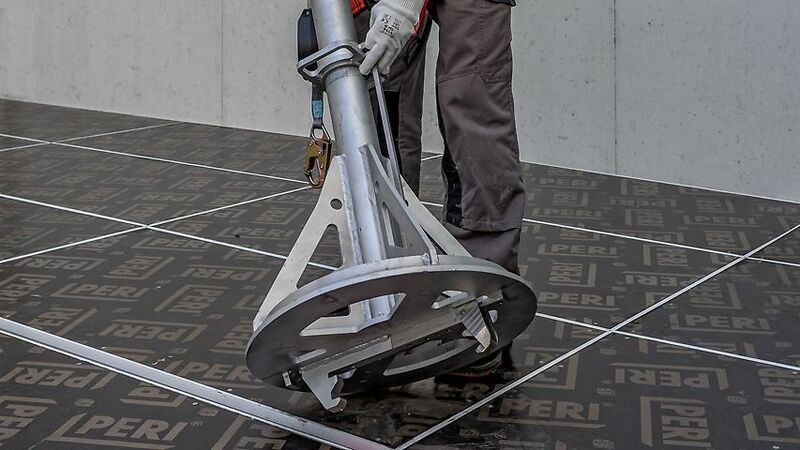 In future, PERI will also rely on the principle of shuttering from below – because this working method will be trend-setting for the construction of concrete slabs. This is exactly what PERI is focusing on at bauma 2019 – safe working conditions on slab formwork. Further developments will also be presented in the area of proven systems. PERI will be presenting the tried-and-tested SKYDECK and GRIDFLEX systems with various, in part, new slab props. While the SKYDECK Alu System slab formwork is well-known for its efficient forming operations mainly due to its systematic and simple assembly procedure, GRIDFLEX offers a particularly safe alternative for smaller slab thicknesses in its function as a fully extendable system installed from below.The wide variety of suitable support scaffolding for slab formwork as well as the compatibility of all PERI products leads to a very large selection of possible combinations. Due to the high global demand for steel slab props, PERI also precisely analysed the production of its props and subsequently optimised its production methods – with the result that prop weights and production costs could be reduced. At the same time, the new PERI PEP Alpha 2 prop series can carry higher loads. This has led to an optimised price-performance ratio. The SKYDECK Platform and End Guardrails have been responsible for enhancing levels of safety at leading edges for a long time. 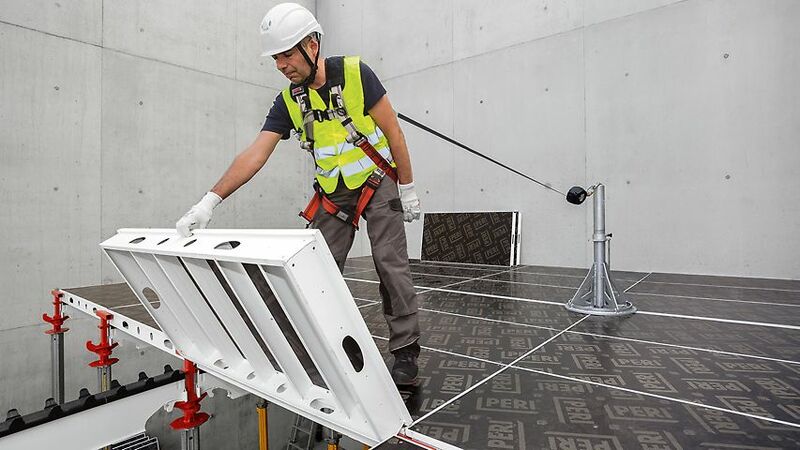 Now, PERI also offers a new solution for the safe installation of panels. The SKY Anchor provides a mobile attachment point for a single person using personal protective equipment against falling (PPE) for ensuring safe shuttering operations from above. "The personal companion for forming from above" can be completely fixed to the drophead. In this way, installing panels from above as usual is very quick and easy. 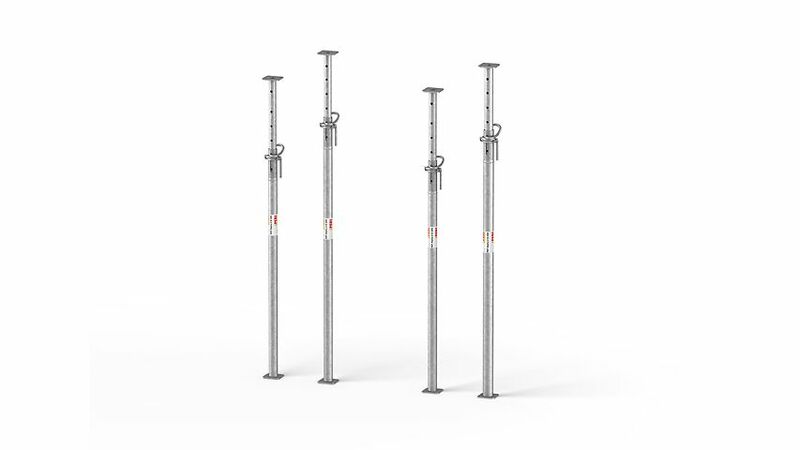 Another innovation of great benefit for everyday jobsite operations: the PEP Alpha 2 slab props offer a lower weight with an increase in load-bearing capacity – and at a very good market price. The mobile SKY Anchor attachment point facilitates safe shuttering operations from above whilst using PPE. The SKY Anchor is fixed quickly and without tools from above on the drophead and provides a secure attachment point.